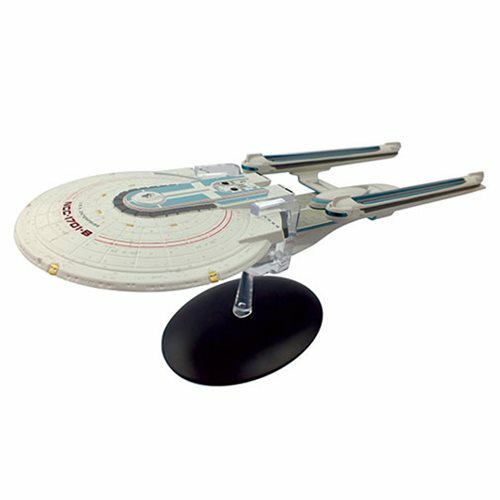 An impressive addition for every Star Trek collection, this is an extra large version of the Excelsior Class U.S.S. Enterprise (NCC-1701-B). It has been carefully recreated in die-cast metal, high-quality ABS materials and measures approximately 10 1/2-inches long.